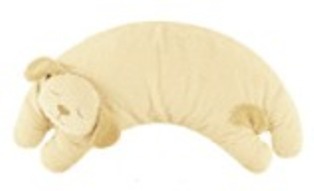 These lightweight pillows give great support for sleepy heads and nursing moms. Pillows measure approximately 17" x 6" x 4" and machine washable. Coordinates with our matching blankies. Add personalization for a special one-of-a-kind keepsake. Choose from child's name and/or birthdate, monogram or initial, or saying (some options not available with all products). Please enter your personalization in textbox exactly as you want it produced; we are not responsible for errors. Enter Monogram: (first, LAST, middle). Monogram Styles. For more information, see our personalization page for details.